In the rolling fields of our Herefordshire farm, grows a tiny currant. Rarely seen and little known, this succulent fruit is harvested under the summer sun and carefully crafted into the very finest cassis. At White Heron we use a technique similar to winemaking in order to perfectly capture the intensity of freshly picked British blackcurrants. Once the blackcurrant juice has fermented naturally with champagne yeast, we blend it with a little vodka to fortify and add sugar to bring out the rich fruity flavour. Nestled in the rolling hills of verdant North Herefordshire, the Whittern Estate is an historic farm with a passion for contemporary decadence. 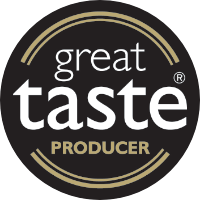 Once a mixed arable farm, the family chose to take the road less travelled: cultivating blackcurrants, a quintessential flavour of the British countryside. 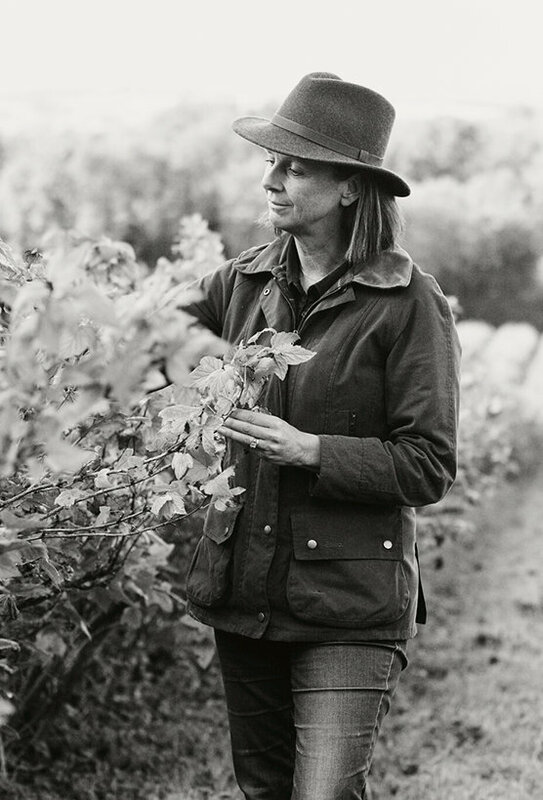 The current guardian of the farm is Jo Hilditch, a bold supporter of the British Blackcurrant industry and of Herefordshire’s rich food producing community. 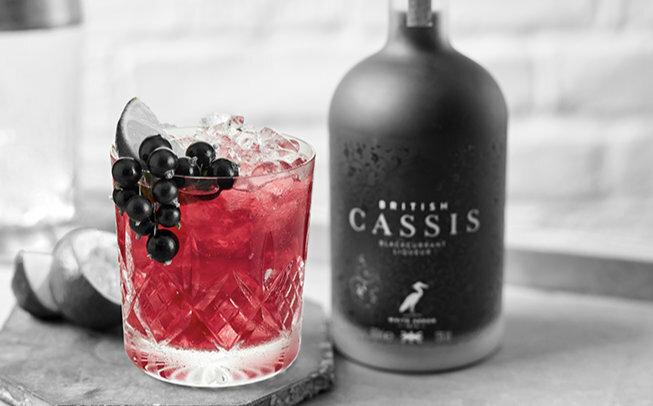 Under her stewardship, British Cassis has become an international hit in the luxury beverage market, gaining recognition and awards for its unique and exciting taste. Whittern Farms is one of just 35 growers trusted to grow blackcurrants for Ribena as well as apples for one of Herefordshire’s biggest exports, Bulmer’s Cider. The farm offers exclusive accomodation for those adventuring to this most beautiful English heartland. 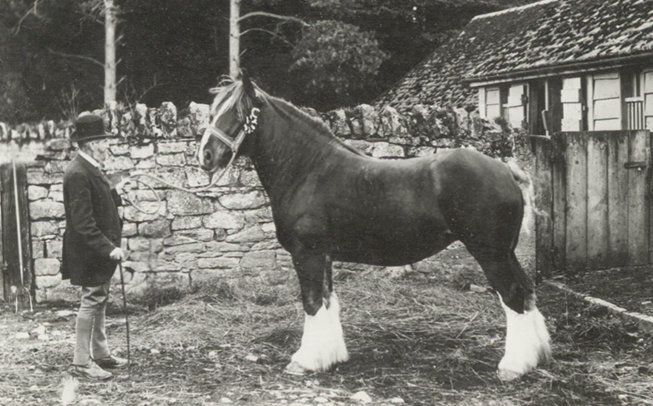 Guests stay in the historic buildings which were once home to the estate’s gardeners and blacksmiths, as well as the former stables where Jo’s great grandmother stabled her favourite horses. Refined over four generations, White Heron’s fruit-growing expertise coupled with the techniques of traditional wine-makers give British Cassis it’s uniquely sultry profile. A depth of flavour acheived through 140 years of passion. Whittern derives from “White Ern” or White Heron. These iconic birds (commonly known as great white egrets) used to breed at The Whittern. Nowadays, they are seen only infrequently. They’re a symbol of the natural environment our blackcurrants are grown in, so it felt fitting to name the company after these elegant, sophisticated characters. Journey to Herefordshire where juicy berries and cider apples soak in the English summer fun. Stay in one of our White Heron Properties in comfortable luxury, walk in the fields where the Cassis journey begins and tour the winery with one of our production managers. 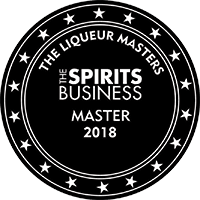 White Heron have won almost as many awards for their accommodation as they have for their signature liqueur.